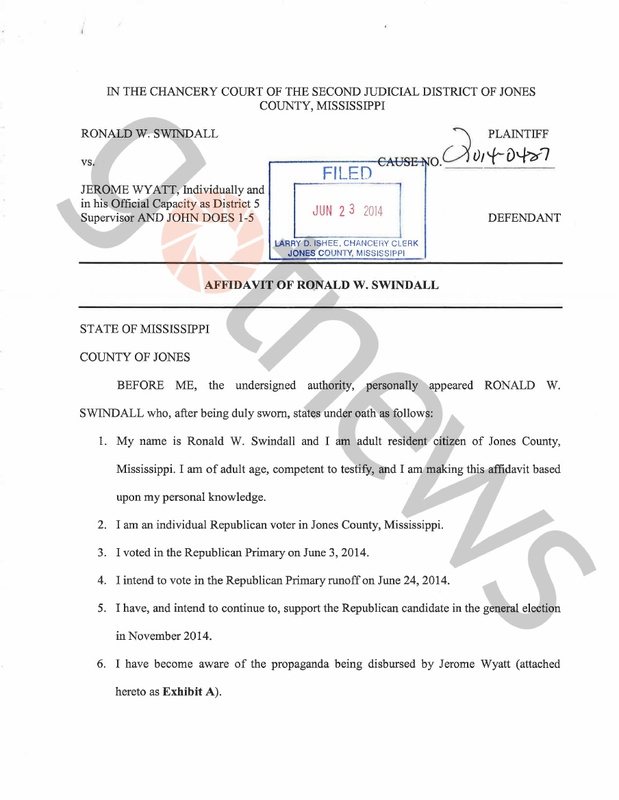 UPDATE July 1, 2014: A black Mississippi pastor has emerged to claim Sen. Thad Cochran’s (R-MS) campaign paid “thousands” of Democrats $15 each to vote in the June 24 GOP runoff – and that he was part of the scheme. Hear Ye! Hear Ye! My Fellow Citizens. ‘Tis June 28th and ALL is NOT WELL throughout the Land. This blog post will focus on my extensive research during the last several days. There is LOTS of information, and various links provided, to allow you to educate yourselves. It is NOT a short read, so settle in, go grab yourself a beverage and prepare to get upset at the findings. The Cliff Notes Version of the situation: Thad Cochran lost the Republican Primary Election, for US Senate in Mississippi on June 3, 2014. 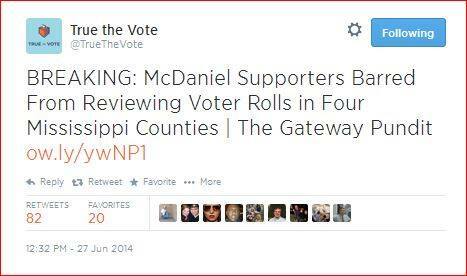 Chris McDaniel won that election. However, neither Cochran nor McDaniel received over 50% of the vote so the 2 of them were forced into a Runoff Election. The Runoff was held on June 24, 2014. Cochran won that election by a mere 6,700 votes. 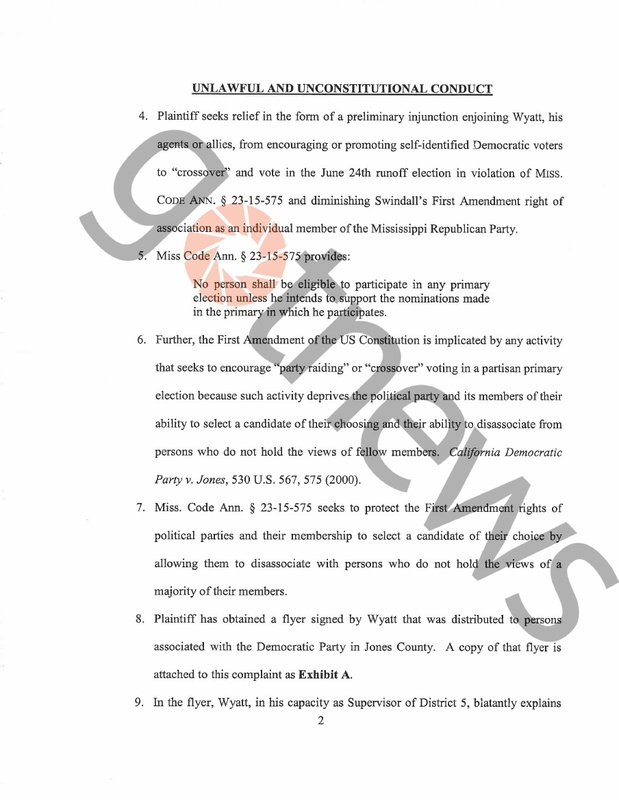 Upon review, and via reports from Mississippi Poll Workers and others, it seems that Cochran’s victory MAY BE illegal because Democrats voted by the tens of thousands for Cochran. This is Illegal in Mississippi. Miss. Statute 23-15-575 states that UNLESS you plan on supporting the Party’s nomination in the general election, you can NOT vote in the party’s primary. This is the law. Period. So, the democrats have ALREADY chosen their nominee via the June 3rd election, and they really don’t like McDaniel, so they want to help OUST him as soon as Possible. They don’t want him to BEAT their candidate in November. A few photos pretty much sum it up so I won’t bother with commentary. 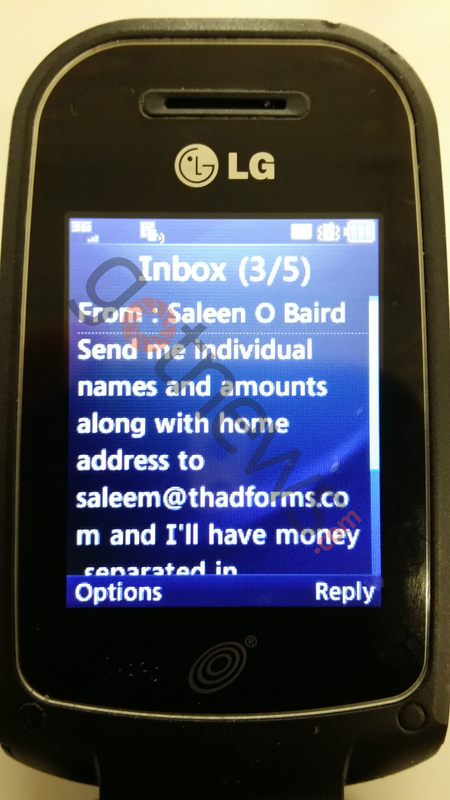 (click on ANY image to enlarge it) View the above Scribd Link to read the FULL COMPLAINT. 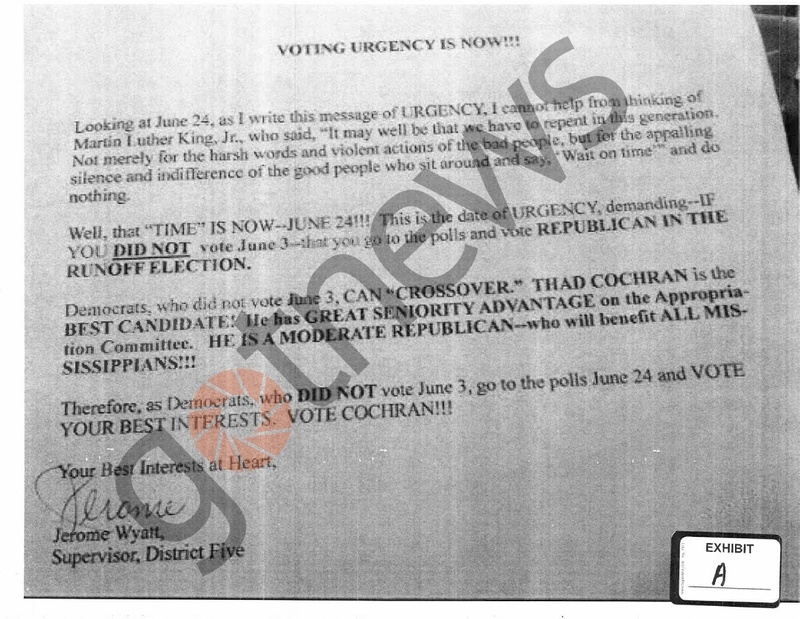 Flyer sent out to recruit the Democrats to vote for Cochran, Exhibit A in the Law Suit. I will urge you to Contact the Mississippi Secretary of States office. I already have. “Holly” (a staffer) told me that the election CAN BE Challenged AFTER it’s Certified???? I’ve never heard such a Thing. She cites MS 23-15-923 as the statute. 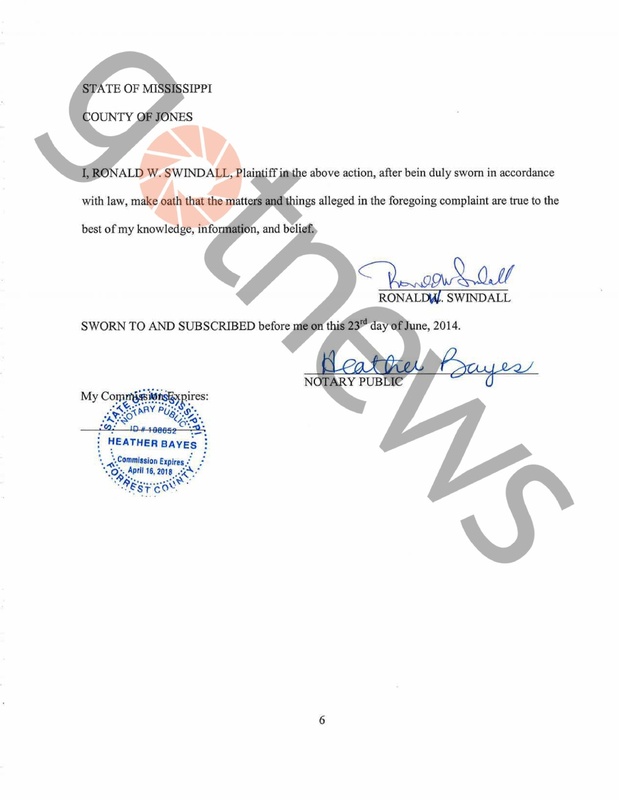 I have seen reports that SOME of the Local Counties, and BoEs, are trying to hinder the McDaniel Camp from seeing the tally books and verifying how many votes are ineligible. Respectfully submitted by SilenceDogood2010 this Twenty Eighth Day of June in the Year of our Lord, Two Thousand Fourteen.